Trying something a little different on this quilt -- diagonal lines, alternating between single and double rows of stitches. It reminds me of kites -- as if what we thought was the sky were simply a million blue and white kites, flying so close to each other that we can't see the blank expanse of universe beyond. 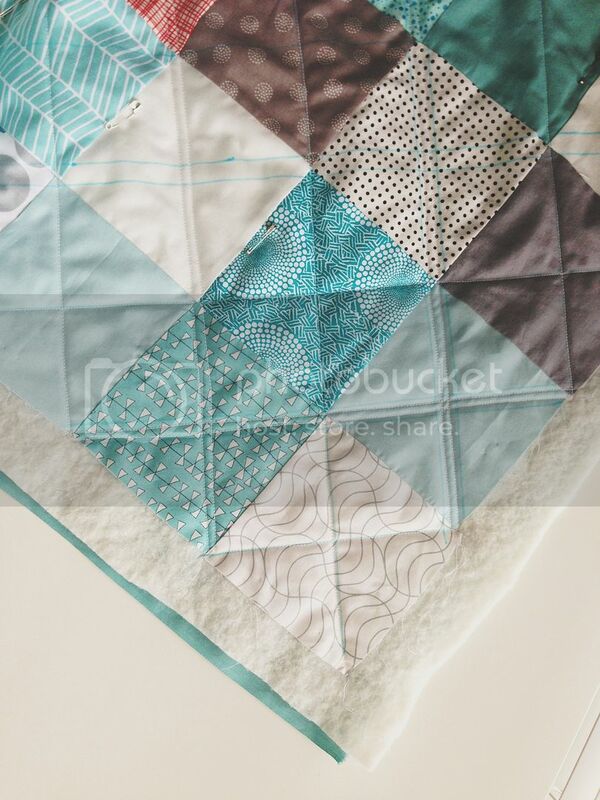 Love the quilting on this one. I might just try it on my next patchwork. Fabulous! !